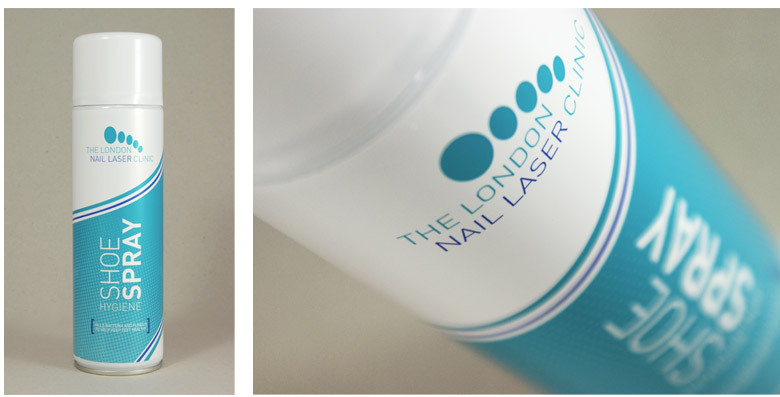 The Harley Street-based London Nail Laser Clinic initially approached CuCo to redesign their website which promotes the pioneering laser services available to an International clientele. 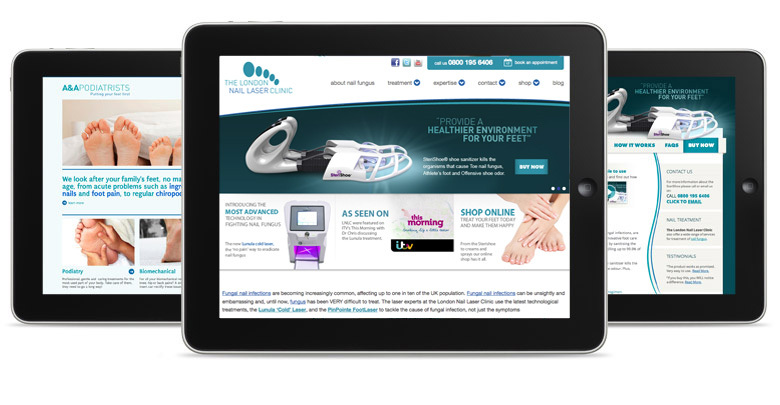 In addition to giving the web platform a more positive and dynamic look, CuCo streamlined the content and improved site navigation to offer prospective clients the easiest possible access to the facts and treatment options for fungal nail infections. 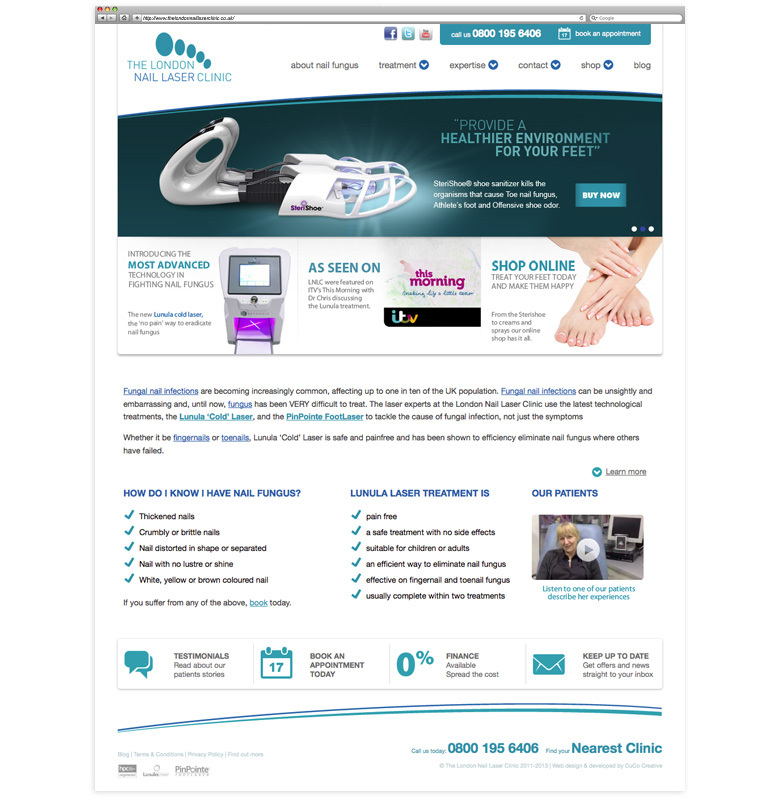 CuCo have also gone on to design and build two other associated websites for the clinic; one to promote the product SteriShoe – for which they are the only UK supplier and also a website which is specifically for the other arm of the business, A&A Podiatrists. Since working on their websites, the clinic now approach CuCo for all of their Marketing solutions, including the management of their Google Adwords – which has since seen a significant increase of click-throughs rates. 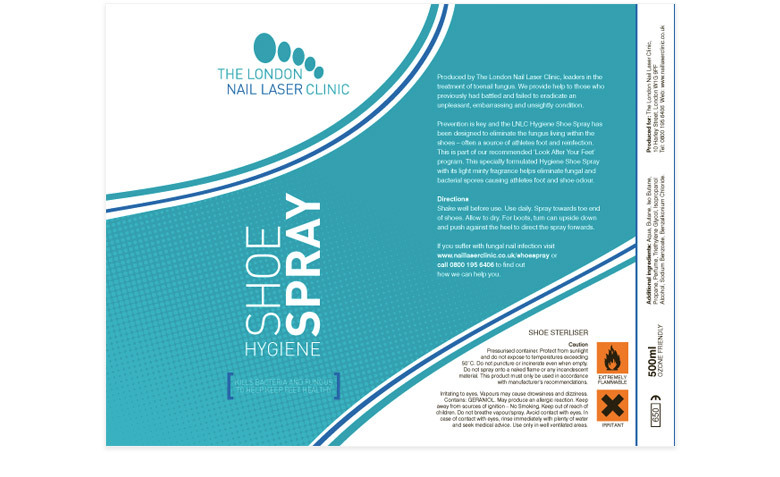 As well as designing a new website for the Harley Street-based clinic, CuCo have also developed their brand to be used on all of their printed communication. Working on their stationery, adverts and overall image CuCo have created a cohesive look and feel for the specialist clinic to promote their pioneering services available to an international clientele. It is easy to recommend CuCo! When we first looked into redesigning our website, we didn’t know where to begin. CuCo helped talk us through the process and were very helpful from the off, taking time to understand exactly what we wanted and simplifying the whole process. CuCo are a pleasure to work with, professional in their approach, friendly, always quick to respond to any query and consistent in their level of responsiveness. We’ve received many compliments about our website since CuCo took it on.